Independent and dependent variables are typically formatted as X and Y in equations. 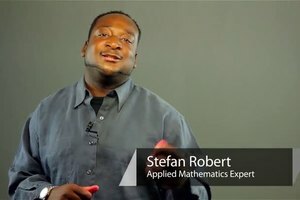 Find out what independent and dependent means in math with help from an experienced mathematics educator in this free video clip. 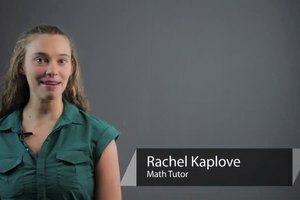 What does independent and dependent mean in math terms? 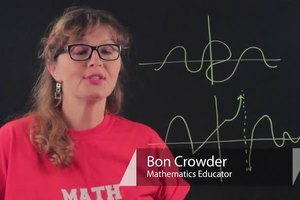 I'm Bon Crowder and we're talking about independent and dependent variables. So, when you have an equation with two variables, one of the variables is independent and one is dependent. The independent variable which we typically have as X is the variable that you can pick anything you want to be, anything in the domain that is. So for X we could randomly pick 0 or 1 or -853.2, anything we want. However, the other variable is the dependent variable, it's specifically well, dependent on what we pick for the independent variable. In this case, Y is 3 x whatever we pick for the independent variable + 2 which is 3 x 0 is 0 + 2 is 2. So our independent variable value we gave was 0 and our value of our dependent variable which depended on the 0 is 2. We can do this for the 1 and get 5 and if we were a little crazy, we might even do it for this guy, I'll leave that to you. So, I'm Bon Crowder and this is what it means to be an independent variable or a dependent variable. Have fun with it.